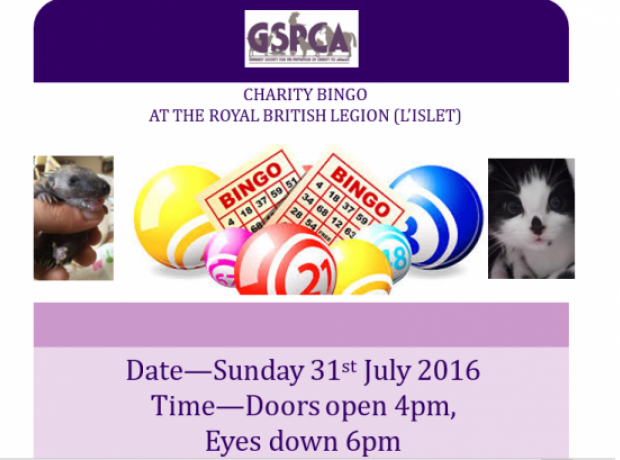 10 games of bingo, 2 flyers, bonus ball and a strip of raffle tickets, 6’s £16, 3’s £11. 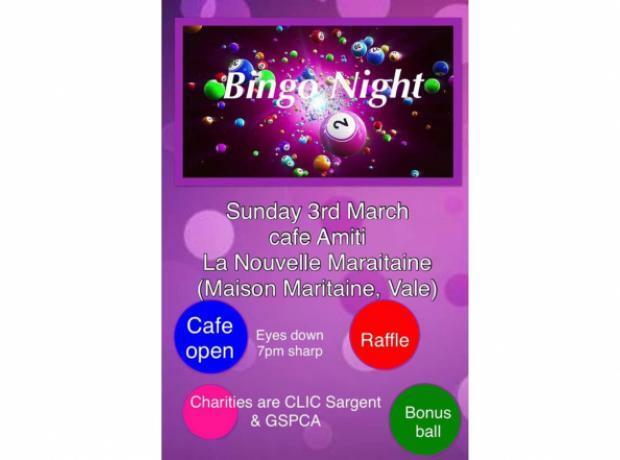 Plus last man standing bingo and football cards during the interval, pop down and join in the fun. 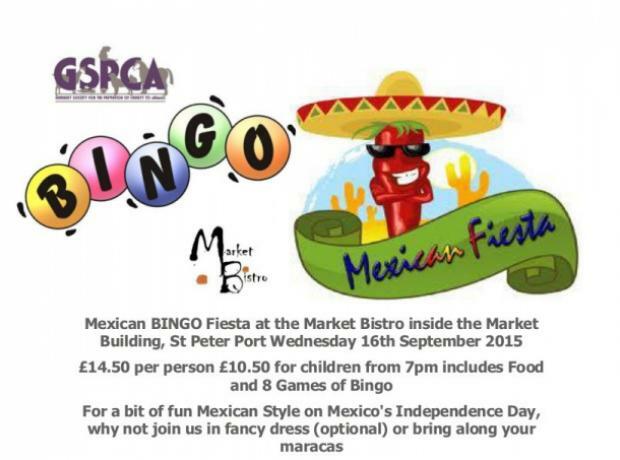 Cafe open for hot food, drinks & snacks. 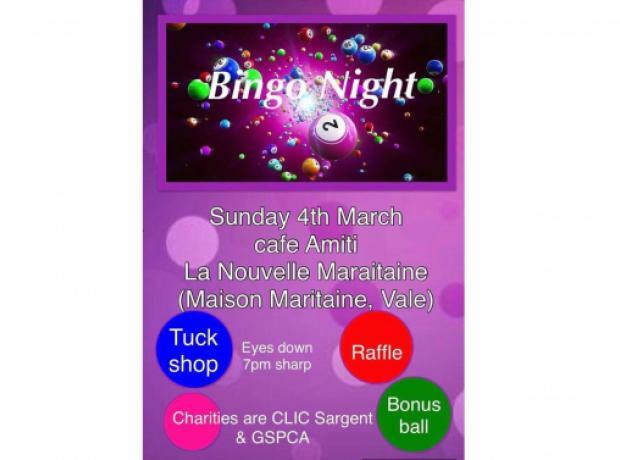 This is a charity bingo night in aid of the GSPCA and Clic Sargent taking place at La Nouvelle Maraitaine at 7pm. 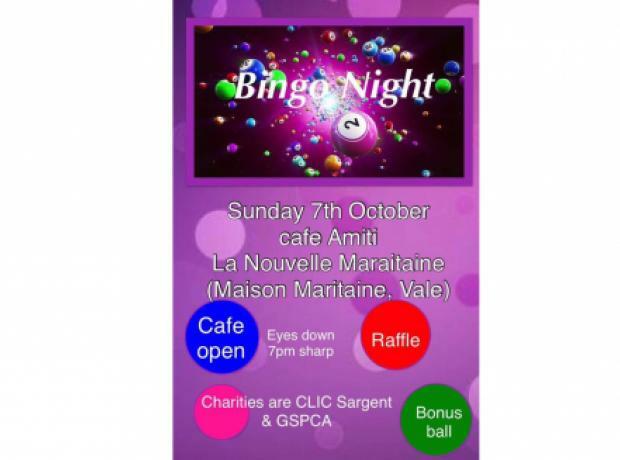 Sunday night Bingo - 10 games of bingo, 2 flyers, bonus ball and a strip of raffle tickets, 6’s £16, 3’s £11. 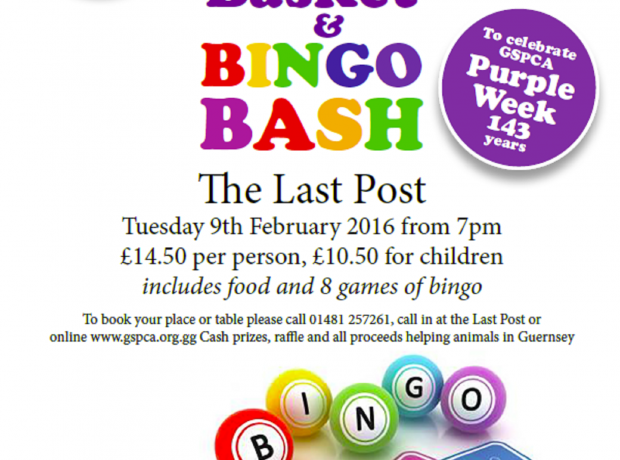 Plus last man standing bingo and football cards during the interval, pop down and join us. 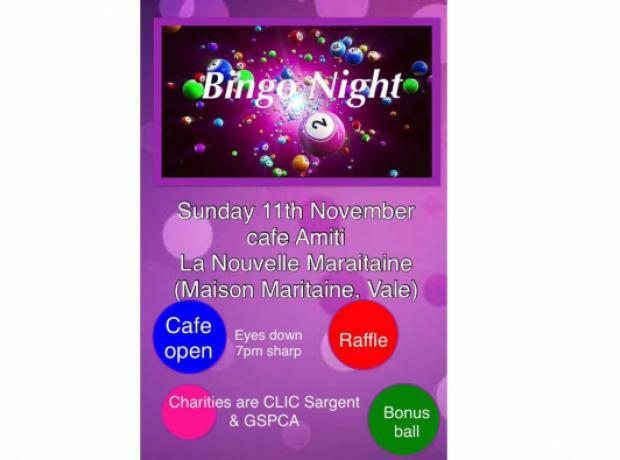 This Sunday night there is a Bingo night in aid of the GSPCA and Clic Sargent. 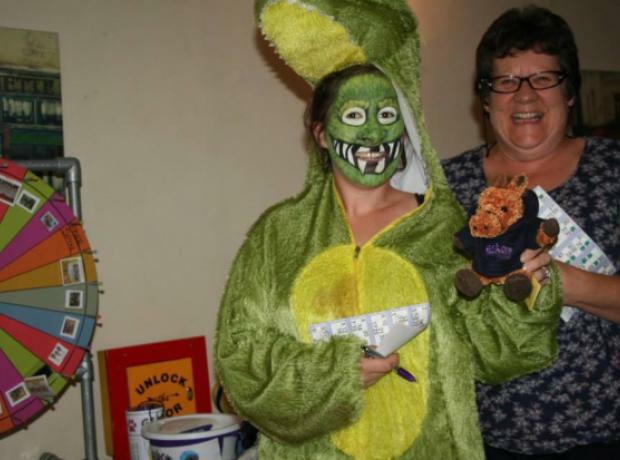 Plus this week we’ve got a surprise new game, pop down and join us.